While my background is deep in book publishing, I’ve long thought about content creation and audience in broader terms than books and looked to other industries for successful and replicable models. The launch of Tidal — Jay Z’s artist-owned music streaming platform — is a terrific new example of creators banding together to build a business structure that offers them greater professional leverage than working alone. Many creative thinkers in music, film, TV, publishing, etc. are working to build new models in response to the current business and technological landscape. And whether you believe Tidal will succeed or fall, it is an intriguing creative collective and has many predecessors in music, film, and comics that are worth exploring. Five years ago, when I bought a house on the north shore of Staten Island — the home of the Wu-Tang Clan — friends began to tell me bits of Wu-Tang’s history. I dug in and learned that Wu-Tang was an intentional collective of MCs, almost a ‘supergroup’ before any one of them was truly famous. 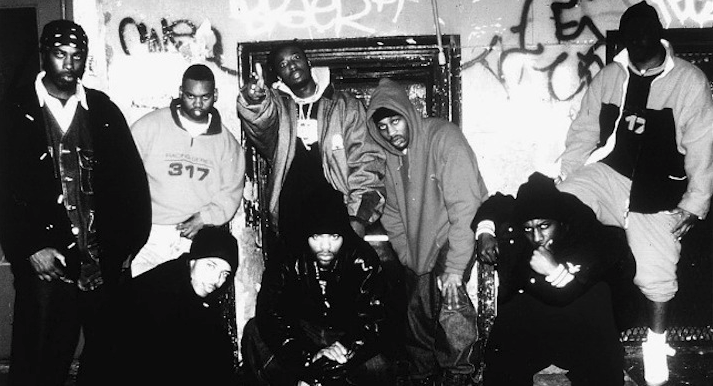 The plan was well orchestrated from the beginning — WuTang would collaborate on a hot single, the aptly titled ‘Protect Ya Neck,’ to open the doors for them to have meetings with labels who were interested in signing them. But they wouldn’t sign with a label unless the label agreed to allow the individual MCs in the group to cut separate deals with other labels for solo albums. Rather than each of them trying to build their own brand, they pooled their talents and early fan bases and earned visibility and professional leverage as a collective group while maintaining individual freedom to record. (This reminds me a little of so-called ‘hybrid authors’ who publish some of their books with traditional publishers and publish others themselves.) Wu-Tang didn’t shun the music label system; instead, they created a structure that allowed them to direct the progress of their own careers with more agency and control. “We reinvented the way hip hop was structured[…]our deal was unlike anyone else’s […] We still could negotiate with any label we wanted, like Meth went with Def Jam, Rae stayed with Loud, Ghost went with Sony, GZA went with Geffen Records, feel me? […] And all these labels still put “Razor Sharp Records” on the credits […] Wu Tang was a financial movement. So what do you wanna diversify…? […] Your assets? Seventy years before Wu-Tang, filmmakers and actors were experiencing similar frustrations with Hollywood. The studio system was taking hold, and studios were seeking increased creative control and working to maximize profits by paying the talent less than they were accustomed to. 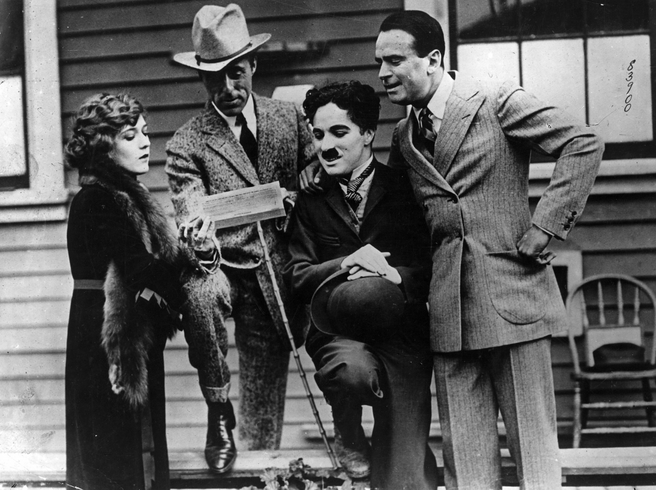 In response, Charlie Chaplin (actor/director), Mary Pickford (actress), Douglas Fairbanks (actor), and David Griffith (director) decided to open their own studio — United Artists. It was a joint venture, with each of the four principals taking 20 percent of the company, leaving 20 percent for the UA lawyer. They each committed to producing five films per year for the company. It took a couple of years to take United Artists from concept to launch, and in that stretch of time, the technological landscape in film shifted fairly dramatically. Silent films were giving way to sound (“talkies”), so the stories in films were becoming more sophisticated and complicated, films were getting longer, and production costs were rising quickly. At the same time, funding for film projects was scarce. The big studios were selling stock in films to the public, but United Artists was relying on advances from exhibitors only. In this new environment, none of the original UA founders could keep their commitment to producing five films per year. In today’s Silicon Valley parlance, Chaplin and his cofounders ‘pivoted.’ They expanded to other parts of the value chain: financing other producers’ films, and exhibiting — they acquired and built theaters, at one point holding locations in over 40 countries. This was a much more capital-intensive business than they expected, so the early 50s they agreed to let two lawyers-turned-producers take over the company. Pickford and Chaplin stayed involved until 1955 when they sold their shares to said lawyers, Arthur Krim and Robert Benjamin. Aside from the technological and industry shifts they faced, one of the challenges UA’s founders encountered was their own structure — the joint venture meant that when one or more of the co-founders wasn’t producing enough commercially successful content, resentment festered. Image Comics, founded by a group of comic artists in 1992, sidestepped this issue by setting up a central legal entity that held no intellectual property. Instead, each founding partner founded his own studio and was responsible for his own publishing efforts, but they all used the Image Comics brand and they distributed together for lower costs and broader reach. Prior to breaking away from drawing for Marvel (which owned all the IP in the characters they were creating), the founders established some shared aesthetic characteristics, which helped give Image Comics a discernible visual identity. Their plan worked — for a stretch of time, their comics outsold those produced by DC Comics, and the collective still exists today, more than 20 years after it was founded. So where are the writers? Aren’t they building creative collectives? So where are the writers in this story of creative collectives? When Facebook was a couple years old, I watched a few groups of writers trying to build loose collectives, using Facebook as a way of sharing their followings, promoting each others’ books, even though they were published by different publishing houses. They were focused on their reader, and on making sure they kept readers engaged all year by recommending books by other writers that their own readers might enjoy. Individual authors are the “brands” in book publishing — the publishing houses have little to no consumer awareness and continually cede brand status to authors (which is why traditional book marketing is so inefficient). For an individual author, keeping readers engaged is very hard to do. Unless you are James Patterson and have a staff of writers working under your brand, it’s hard to write multiple books per year, which is often what it takes to become a big bestselling fiction writer — consistent and frequent delivery of similar well-executed books. In response to what I saw happening on Facebook in 2006 and 2007, I built a platform at Penguin/Pearson called BookCountry which is place for writers to workshop their books in collaboration with other writers. My hypothesis for this corporate backed start-up was that writers could develop collegial relationships during the revision process. That they would write better books with highly targeted feedback from other writers, and that their subsequent relationships with other writers on the platform would help them reach a broader audience of readers when they published their finished book (regardless of whether they published traditionally or self-published). Essentially I built the platform to be a place where writers could form their own creative collectives. Just a few months after launching, the Guild is actively promoting one another’s books and speaking events on Facebook, and just posted a job offer here for a Chief of Staff. Their first book is coming out next month — Tom Rath’s Are You Fully Charged?. Rath’s previous books have sold approximately 6 million copies. This is a highly professionalized version of what I envisioned could emerge when I built Book Country, and I’m eager to see what comes of it. The Silicon Guild writers have the opportunity to create the ‘Patterson effect’ for their readers — keeping readers engaged all year while each writes at his or her own pace. And by pooling their email lists and their social media followings — Vivek Wadhwa has 50,000 Twitter followers, Dan Ariely has nearly 90,000, and Charlene Li has 99,000 — they immediately have tremendous reach. Together they have five million social media followers across Twitter, Facebook and LinkedIn. 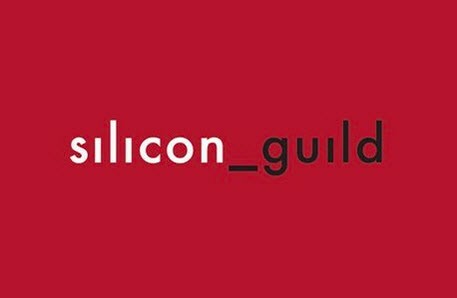 Beyond the obvious ability they have to promote books and speaking engagements, The Silicon Guild has the potential to become a global hub for expert conversation of big trends and ideas that impact business markets, tech advancements, and our professional and personal lives. Discoverability is an issue for publishers, not readers. Readers discover books all the time and are typically overwhelmed by choice. What readers seek is a sense of validation and purpose in their book selection — of all the books I could read, what should I read right now and why? If you’re a fan of Dan Ariely and you’ve already read his latest book, The (Honest) Truth About Dishonesty, you’d probably feel filled with purpose reading a book he’s recommended. The Silicon Guild is a prominent and sophisticated example of what I see as the beginning of a very big trend — the rise of writer collectives that have the potential to become “hubs” for various interest groups of readers. 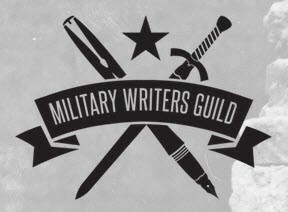 What if the Military Writers Guild also began reviewing and commenting on the books that appeal to the readers of their blogs — all the Tom Clancy books, all the war memoirs coming out, all the books about military efforts to combat ISIS? The Players Tribune is already producing editorial features like “The Chirp,” which today is a simple round-up of social media highlights — particularly interesting comments, jokes, or photos that athletes have shared recently. The athletes in this feature aren’t necessarily athletes who have written for the Tribune, just the most interesting and vocal athletes of the moment as curated by Jeter’s editorial team. So, if Wu-Tang Clan was looking for a successful future in publishing, what would they do? What would Charlie Chaplin or JayZ do? They’d build a creative collective that resonates with their fans. They’d produce the content they want to, the way they want to, when they want to. And then they’d negotiate for production and distribution deals that are in their best interest. Molly Barton: What would Wu-Tang do?